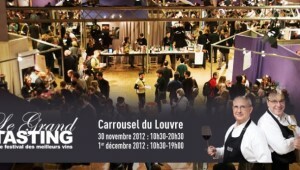 Le Grand Tasting takes place on 30 November – 1 December 2018 in the heart of Paris. This is an opportunity to taste and learn about wines from many well-known names and from most wine regions of France. Over the 2 days you can taste wines direct from the producer . You can attend numerous masterclasses and cookery demonstrations to enhance your appreciation of wine. Unusually there is also a selection of Italian wines available to try. Bordeaux Chateau such as Chateau Laroze (St Emilion) will be there as well as producers from Alsace, Burgundy, Champagne, Corsica, Loire and Rhône etc.